While on book depository doing my Christmas shopping I noticed that Highland Ever After is set to come out on 1st January 2016 and I had to share this with everyone. Literally pinch me I think I’m dreaming, there’s not many days left till Janurary and so I cannot wait. I really hope the book is released this time round. I have it on pre-order again and I literally have my fingers crossed it’s actually going to come out. The frustration I have had over waiting for this book is unreal, it been nearly 3 years! 3 freaking years since the last one was released. If anyone else is waiting for this book head over to Book Depository to pre-order it. I have not seen it on any other website, I have checked Amazon, WHSmith, The Book people and Waterstones but no where else seems to have it. I guess the good thing is book depository have it at the price of £4.72 which is great. Click the here if you want to check it out. Am I the only one waiting for this book to come out? Does anyone else understand my emotions and frustration with this book?? 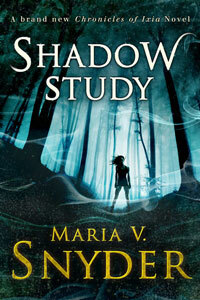 We all have books that we cannot wait to be released, Shadow Study is one of those books for me. The first book review I ever posted on this blog was of Poison Study which is the first book in this Study Series so it holds a special place for me. I have read the Study Series multiple times and so am excited to see what new adventures come about for Yelena and Valek. This is what my current UK series looks like. What the UK covers are changing to. If you have not read this series then you are missing out. Pick it up now!! So excited for Highland Ever After! I have never talked about this series on my blog but I am honestly counting down the days for the 3rd book in the series. Last time I checked this book’s release had been pushed forward to 2016 so while casually browsing Book Depository I saw this and nearly cried. Only 14 days to go? The release date has obviously been brought forward and I’m so excited. I need this book and I need it now so I have put it on pre-order, these books are one of my favourites. I may in the future reread the books so I can do a proper review on them. Has anyone else read this series and if so what do you think? 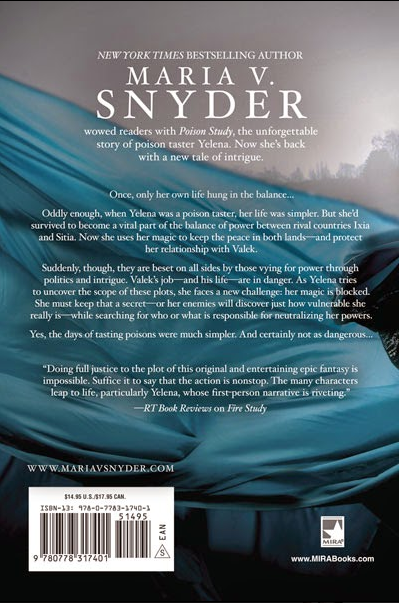 I am majorly excited about the 3 new books being released by Maria continuing the Posion Study Series based on Yelena and Valek. I came across some updates which I had to share! Yes, the days of tasting poisons were much simpler. 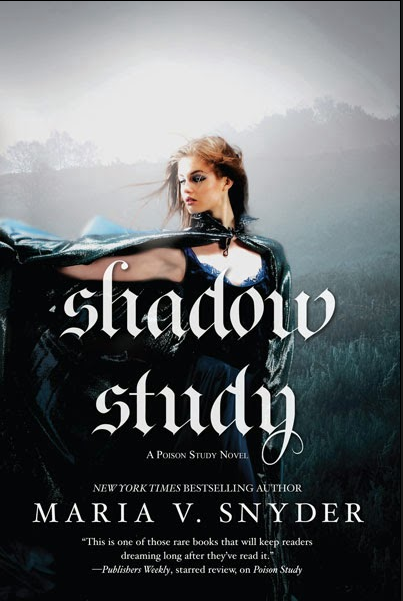 And certainly not as dangerous..
“As promised, here are a few more details about the SHADOW STUDY – yes, it’s a new book with Yelena and Valek (if you didn’t know – where have you been?). •It is tentatively scheduled to be released early January 2015 in the US, but I’m sure the UK and AU will be releasing the book very close to the US date. •Yelena and Valek’s POV will alternate chapters, starting with Yelena. •The second of the new set of Study books (3 planned in all) is tentatively titled, NIGHT STUDY. No title for #3 yet! •As for the story – it starts soon after the events in SPY GLASS. Valek is returning to Ixia because the Commander has ordered him home – seems crafty smugglers have found a new route into Ixia and he needs Valek and Ari and Janco to investigate. •After an all too brief vacation with Valek, Yelena has to deal with an increasing anti-magician sentiment from the Sitian Council and she goes on a mission to find Ben Moon (Owen Moon’s brother). Ben escaped from Wirral prison. Ben had tried to kill Yelena after Owen was executed in Ixia. To read the story about Owen Moon’s nefarious deeds go here (in fact, Ben has a pretty big part in SHADOW STUDY so you may want to go and re-read the story before January). 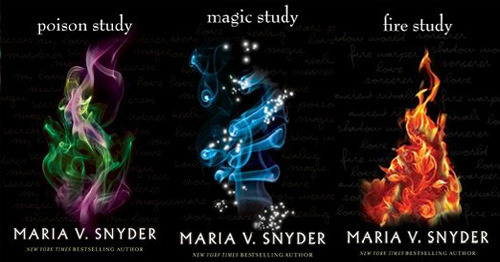 http://www.mariavsnyder.com/IceStudy….Familiar characters that are in SHADOW STUDY – Leif, Mara, Opal, Devlen, Reema, Bain, Irys, Maren, and Kiki of course! •New characters – Onora (young hot shot female assassin), Gerik (new soldier for the Commander’s detail), Ben Moon, Hedda (Head Mistress of the school of Night and Shadows), and Arbon (a fellow assassin trainee that was in school with Valek). Who else is now excited?? ?